Earlier this year Better won a project with Endeavour Partnership Business Lawyers. It wasn’t just any old project either; it was a big, juicy web redesign/development job that required ultimate creativity and a “thinking-outside-the-box” approach. We’ve loved every minute of it. Let’s breathe some life back into this. The original Endeavour site provided some information about the firm but lacked the dynamic ability to encourage the interaction of web users, or to keep their attention. The site had a static feel and just wasn’t really selling or reflecting the reputation and experience of Endeavour. We wanted to turn this on it’s head; to bring the site to life and create something that breathed knowledge and approachability. To do so, we got to work on evolving Endeavours visual style by modernising the overall appearance of the site, with sharper edges, stronger images and a carefully thought out use of colour to make each page an action-led and cutting-edge reflection of the Endeavour message. There’s no use having a gorgeous site if no one can find their way around. Small and tricky to read navigation seems to be a curse that has befallen many sites across the web, which is why we strived to develop a navigation system that would work hard for Endeavour and the users of their site. The homepage now features smart, concise manageable promotional areas, designed to let the Endeavour team instantly communicate their featured service/sector areas to the user within seconds of arrival. Hello leads, goodbye bounce rate! We love this design; it requires zero effort on behalf of the user to get to where they want to be almost instantaneously. We also designed the core navigation options (the stuff most people want to get to) clearly at the top of the page, with supporting media navigation, so that users could see a full range of routes through the site at one glance. It doesn’t get better than BetterPress. 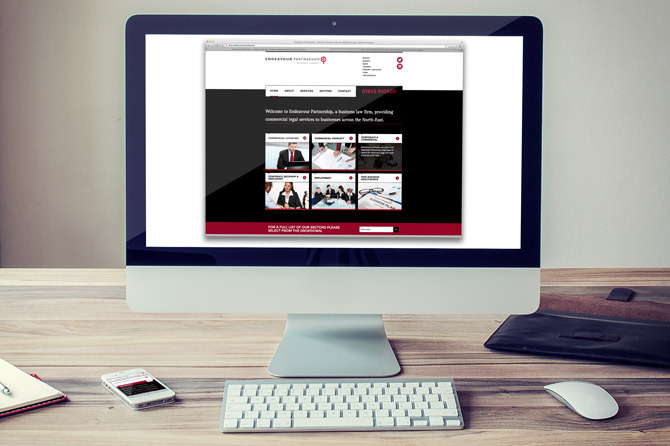 Endeavour told us that they needed a site that they could easily update… enter: BetterPress. Our smart and heavily customised WordPress based CMS will allow Endeavour employees to jump into the backend of the site and edit at any time, as well as uploading blogs, media, events and news items to keep the site right up to date and dynamic. Action-led and relevant content is the only way. One of the smartest new features of the Endeavour site is one that means every user’s experience is tailored towards what they’re looking for. For example, say someone was reading through the “Commercial Litigation” section of the site – wouldn’t it be nice if they could see all the latest news/media updates related specifically to Commercial Litigation? And wouldn’t it be even nicer if they could actually speak to a Commercial Litigation Specialist? Yes, we believe it would! The team has introduced a feature to the site that pulls in the contact details of specialists throughout the company, depending on the page that’s being viewed. Don’t just call a faceless number, call Paul Bennet, head of the Commercial Litigation Department! It’s the future. 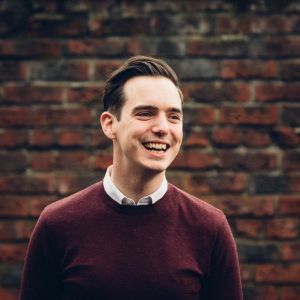 This is all about making the site not only a hub of useful info, but a hub of relevant info – stuff that’s going to prompt users to pick up the phone and make contact. All the stuff that’s going on all the time. The Endeavour site is no longer a static list of information, now it’s something that can be updated every day, with an improved media area to promote news and blogs, which is great for user interaction and SEO, too. Plus, we’re seriously impressed by the cool industry and regional events Endeavour hold on a regular basis, so we’re glad to have implemented a new events section that displays events, current and past, clearly so users can explore and find all the information they need to register. 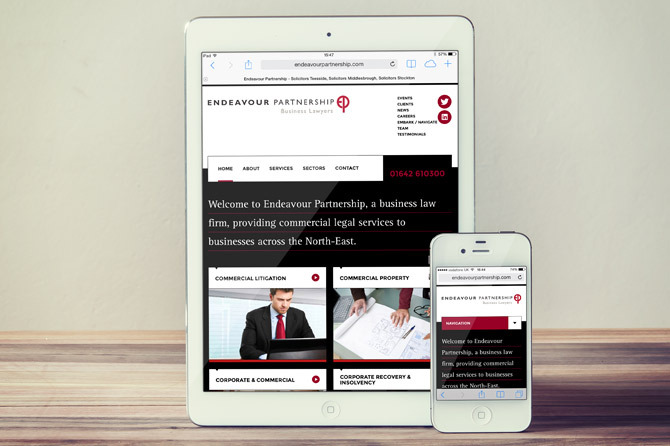 The new Endeavour site, www.endeavourpartnership.com, is now totally responsive, meaning that it responds to screens of varying shapes and sizes (tablets, phones, laptops) to ensure users always get optimum experience. Magic.